Protection Darksteel Plate both boots Voidmage Prodigy Siren Stormtamer - this will protect from Bojuka Bog and alot of other gy exiles while also stopping target removal on muldrotha. And the only non permanent spell you should run in muldrotha Primal Surge combo with Laboratory Maniac for those games that just drag on. These adds (especially the mana ramp) will make the deck run smoother and more consistent. Ramp is super important in EDH, but Muldrotha opens up less traditional options that end out being far superior when Muldrotha is in play. Cards like Font of Fertility and Wayfarer's Bauble may be sub-optimal in most decks, but in Muldrotha decks their value increases ten fold. You can use them in the early game for ramp, then use them over and over in the late game for ramp, as they are permanent cards that Muldrotha can cast from your graveyard. Here's a few more that I use in my budget Muldrotha deck: I already mentioned Font of Fertility and Wayfarer's Bauble; Coiling Oracle, Dawntreader Elk, Diligent Farmhand, Sakura-Tribe Elder, Silverglade Pathfinder (most discarded cards can be played from the yard with Muldrotha), and most importantly Hermit Druid and Song of Freyalise. Let me explain why those are the two most important pieces of ramp for Muldrotha. Hermit Druid doesn't ramp per-say, as the basic land only goes to your hand. What it does do for you though is mill the hell out of your library if you keep your basic land count down. This means that when Muldrotha hits the battlefield, you'll essentially have a 20+ card "hand" in your graveyard. Song of Freyalise turns all your little x/1 dudes into mana rampers for two turns, then allows you to attack all out. This means every third turn all your creatures are Indestructable, Vigilance, and Trample; letting you plan around it for some crazy turns. The same thing can be said for most aspects of the deck. 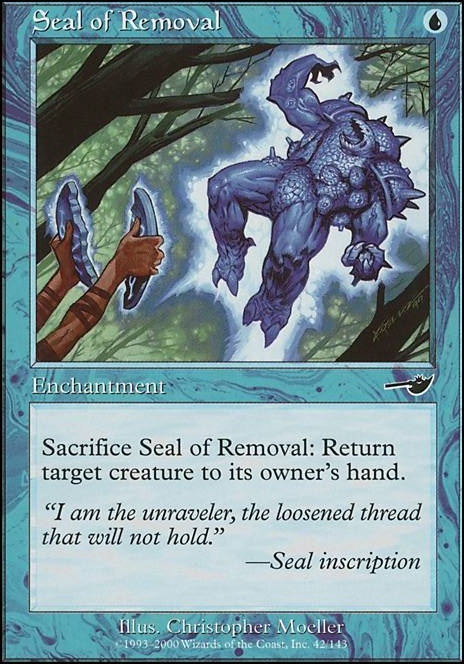 Here are some great removal pieces tied to either creatures, artifacts, or enchantments: Seal of Doom, Seal of Removal, Executioner's Capsule, Bone Shredder, Merciless Executioner, Fleshbag Marauder, and sort of Baleful Strix (it has deathtouch). Here's some good artifact and enchantment removal: Seal of Primordium, Acidic Slime, Caustic Caterpillar. Here's other various good things that are re-usable from your graveyard: Diplomatic Immunity for keeping your commander safe, Swiftfoot Boots for the same reason. 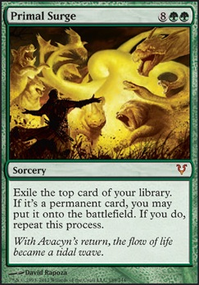 Elephant Grass means you can pay 1 mana per turn to have this effect in play by sac'ing it and playing it again, rather than the escalating cumulative upkeep, Mystic Remora is also great for the same reason. Lotus Petal provides re-usable free ramp. Dawnstrider gives you repeatable fogs. Siren Stormtamer is a repeatable counter to keep your team safe. Spore Frog is one of the core pieces of the deck, letting you fog every turn for 1 mana. One thing you'll want to do with Muldrotha is make sure your creatures, artifacts, enchantments have somewhat even distribution, so you can play many cards from your graveyard per turn. 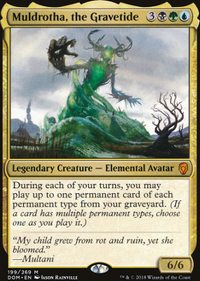 A lot of these effects are tied to creatures though, so in my Muldrotha deck I like to gain additional benefit from sacrificing these creatures or permanents. Cards like Dictate of Erebos/Butcher of Malakir force all your opponents to sac a creature whenever you lose one. Since you're sac'ing for the creatures effect anyways, you get to double dip a bit. Other cards that help here are: Catacomb Sifter for scrying, Grim Haruspex for draw, It That Betrays for some fun shenanigans, Sifter of Skulls for ramp + more things to sac, Smothering Abomination for more draw and a sac outlet. If the sacrifice route tickles your fancy, then you probably want to run some sacrifice engines. Here's some good ones for Muldrotha: Altar of Dementia is a free sac engine that fills your yard, perfect here. Skullclamp is both a sacrifice and a draw engine. Lots of creatures that are good with Muldrotha are x/1, so Skullclamp becomes crazy efficient, especially since you can replay the lost creature.Grimgrin, Corpse-Born is another free sac engine that powers himself up and lets you use his removal ability. Hell's Caretaker can sac a tiny creature to return something awesome from your yard when the commander isn't around, or if you dont have the mana to play it from the yard. Izoni, Thousand-Eyed comes into play with lots of sacrifice fodder, and for [b][g] you can sac a creature and draw a card. Jarad, Golgari Lich Lord can use his ability as a win-con, especially when paired with Grimgrin, Corpse-Born. My absolute favorite card with sacrifice focused Muldrotha decks hands down is Mazirek, Kraul Death Priest. All your x/1 sacrifice fodder turns into a terrifying army with this guy. The best thing about him, is his ability triggers whenever you sacrifice a perminant. That means things like Executioner's Capsule and Seal of Primordium will trigger his ability, and more importantly cards like Terramorphic Expanse, Evolving Wilds, Blighted Woodland and Myriad Landscape. Everything you sac increases the power of your army, and every time you sac something you're getting a ton of value. The Gitrog Monster pairs really well with Mazirek. Sac a land every turn, draw more cards, play more lands, trigger the +1/+1 counters on all your creatures every turn. Tons of synergy. Thank you jessetaverne. Seal of Removal may be worth a try. I was thinking about testing the black seal for longer now, should really test that. 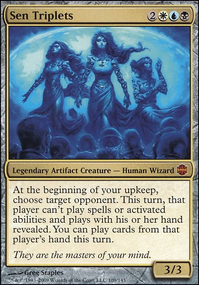 Dreamborn Muse is one of those cards that seem perfect but totally underperform. I tested that card and it’s not worth a slot for this deck. Since Lion's Eye Diamond is so powerful, it’s the first card I tutor up with Trinket Mage or Tolaria West. In the majority of games I got the diamond, so I basically discard my hand every turn. With the diamond, Dreamborn Muse ends up doing almost nothing for me but milling my opponents. Not always a bad thing but it can backfire against another deck that uses his graveyard. Might be better in a deck without diamond. Bear Umbra has become one of my favorite cards over time. It allows to play some really cool turns. In addition it is a really nice wrath protection. Makes it super easy for you to recover from wrath-effects, even better than Command Beacon. With a Pernicious Deed you can kill the board with your commander surviving and recovering much faster from it than other players. Suggestions: I really enjoy the Seal of Removal in my deck, also Dreamborn Muse seems like a good fit for you. Would recommend. With regards to mystic remora, are people not playing enough noncreatures or are they playing around its cost? And how has Bear Umbra been? +1, love all these different takes on muldrotha. Let me know what you think of mine! I've been putting together a budget Muldrotha list and my budget constraints have led me to find quite a few amazing cards that pair with Muldrotha. First off, with all your sacrifice/reanimator affects, using cards that take advantage of those affects will be beneficial. Butcher of Malakir, Dictate of Erebos, and Grave Pact add a lot of control to the deck. 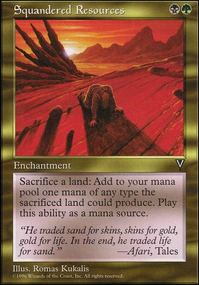 Cards like Fleshbag Marauder and Merciless Executioner get extra value, as does every one of your sacrifice engines. Mazirek, Kraul Death Priest makes these affects even more powerful. Pump up your whole army while picking off theirs or gaining value through sacrifice engines. Nyx Weaver and Splinterfright are excellent ways to fill your graveyard in addition to what you're already running. Sidisi, Brood Tyrant also helps to fill your graveyard while providing extra value for your self milling in the form of a zombie army. Executioner's Capsule is excellent repeatable removal that takes up an artifact slot. Very valuable. Tormod's Crypt helps shut down opposing graveyard strategies, over and over for free. Wayfarer's Bauble provides ramp in the artifact slot. Attrition is an excellent sacrifice engine that is also repeatable removal. False Demise serves as a way to keep your commander on the battleground or take an opponents creature/commander. Font of Fertility provides ramp in the enchantment slot. 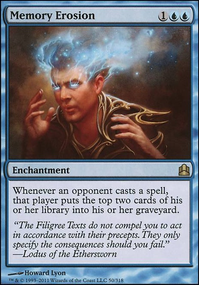 Heightened Awareness is a great way to draw an extra card every turn for practically free. Monastery Siege provides similar value. Seal of Removal gives repeatable bounce in an enchantment slot. Vessel of Nascency gives repeatable draw and fills your yard in an enchantment slot. Here's some good value cards I've found in my deck building process: Dawnstrider provides repeatable fogs while not really costing you anything once your commander is out. Hermit Druid fills your yard and provides land consistency. Waterfront Bouncer provides repeatable creature bouncing. Silverglade Pathfinder provides repeatable ramp. Hell's Caretaker provides repeatable reanimation. Coiling Oracle is full of value. Siren Stormtamer helps repeatedly keep your creatures safe. Best part about all of these is that they're easy sacrifice fodder once you no longer need the abilities and they work crazy well with Skullclamp, which is easily the best sacrifice engine you can run in this deck.